Conventional wisdom has it that the entry of the United States into World War II caused the end of the Great Depression in this country. My variant is that World War II led to a "glut" of private saving because (1) government spending caused full employment, but (2) workers and businesses were forced to save much of their income because the massive shift of output toward the war effort forestalled spending on private consumption and investment goods. The resulting cash "glut" fueled post-war consumption and investment spending. Higgs's explanation isn't inconsistent with mine, but it's incomplete. Higgs overlooks the powerful influence of the large cash balances that individuals and corporations had accumulated during the war years. It's true that because the war was a massive resource "sink" those cash balances didn't represent real assets. But the cash was there, nevertheless, waiting to be spent on consumption goods and to be made available for capital investments through purchases of equities and debt. private consumption spending, which -- because of the privations of the Great Depression and the war years -- would have risen sharply regardless of the political climate. I happened upon your blog post that deals with my ideas about why the depression lasted so long and about the way in which the war related to the genuine prosperity that returned in 1946 for the first time since 1929. I appreciate the publicity, of course. I suggest, however, that you read my entire book, especially, with regard to the points you make on your blog, its chapter 5, "From Central Planning to the Market: The American Transition, 1945-47" (originally published in the Journal of Economic History, September 1999. I show there that the "glut of savings" idea, which is an old one, indeed perhaps even the standard theory of the successful postwar reconversion, does not fit the facts of what happened in 1945-47. I apologize for the delay in replying to your e-mail about my post... Your book, Depression, War, and Cold War, has not yet made it to the top of my Amazon.com wish list, but I have found "From Central Planning to the Market: The American Transition, 1945-47" on the Independent Institute's website (here). If the evidence and arguments you adduce there are essentially the same as in chapter 5 of your book, I see no reason to reject the "glut of savings" idea, which is an old one, as I knew when I wrote the post. But, because it is not necessarily an old one to everyone who might read my blog, it is worth repeating -- to the extent that it has merit. In the web version of chapter 5 of your book you attribute increased capital spending to an improved business outlook (owing to FDR's demise) and (in the section on the Recovery of the Postwar Economy, under Why the Postwar Investment Boom?) to "a combination of the proceeds of sales of previously acquired government bonds, increased current retained earnings (attributable in part to reduced corporate-tax liabilities), and the proceeds of corporate securities offerings" to the public. It seems that those "previously acquired government bonds" must have arisen from the "glut" of corporate saving during World War II. The potential for a reduction of the personal saving rate (personal saving relative to disposable personal income) was huge after V-J Day. During the war the personal saving rate had risen to extraordinary levels: 23.6 percent in 1942, 25.0 percent in 1943, 25.5 percent in 1944, and 19.7 percent in 1945. 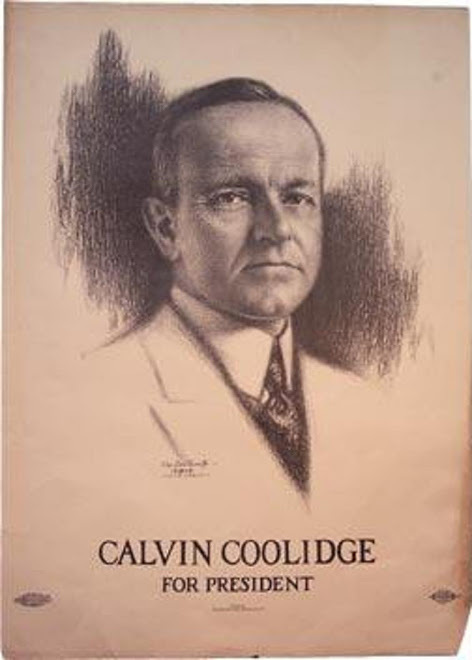 Those rates contrasted with prewar rates that had hovered around 5 percent during the more prosperous years (for example, 5.0 percent in 1929, 5.3 percent in 1937, 5.1 percent in 1940). After the war, the personal saving rate fell to 9.5 percent in 1946 and 4.3 percent in 1947 before rebounding to the 5 to 7 percent range characteristic of the next two decades. After having saved at far higher rates than they would have chosen in the absence of the wartime restrictions, households quickly reduced their rate of saving when the war ended. Higher post-war incomes didn't just happen, they were the result of higher rates of investment and consumption spending. The higher rate of investment spending was due, in part, to corporate saving during the war and, in part, to individuals' purchases of corporate securities and equities. 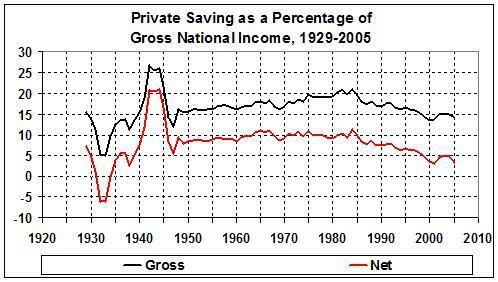 At bottom, the wartime "glut" of personal saving enabled the postwar saving rate to decline to a more normal level, thus allowing consumers to buy equities and securities -- and to spend more -- without drawing down on their liquid assets. Granted, business and personal saving during World War II was not nearly as large in real terms as it was on paper -- given the very high real cost of the war effort. But it was the availability of paper savings that strongly influenced the behavior of businesses and consumers after the war. Perhaps I am misinterpreting the evidence you present in chapter 5. And perhaps there is more in other chapters of your book that I should take into account. I will be grateful for a reply, if and when you have the time. I will further update this post if Mr. Higgs replies to my note of October 12, 2006. Black Terrorists and "White Flight"